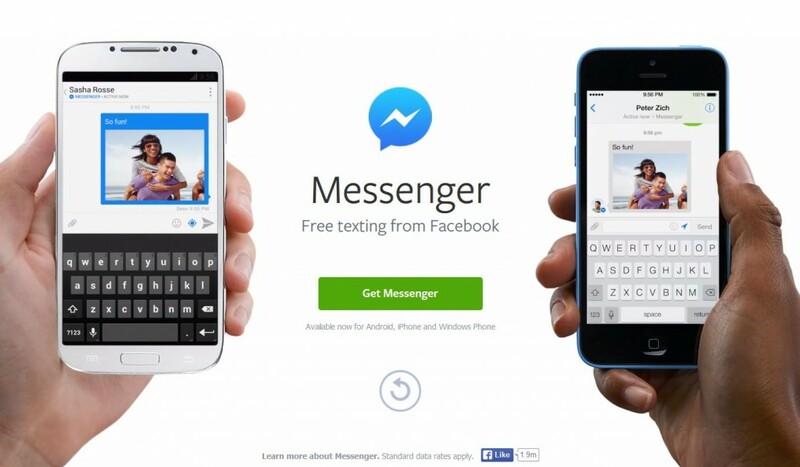 Lately, you may have noticed that when you try to send messages through Facebook's mobile app on your phone and tablet, you are prompted to download the standalone Facebook Messenger app. It’s a cool app which allows you to message your Facebook friends, send picture and video messages, and call any of your Facebook friends for free using your Wi-Fi connection. It has also stirred up some controversy about all the permissions it requires. Messenger needs permission to take pictures and videos using your camera, record audio, directly call phone numbers, receive/send/read/edit your text messages, access the internet, look into your address book, and keep track of your precise location. When we take a look at the permissions listed on the Google Play store, there are other creepy, but not really threatening, things like preventing your phone from sleeping and controlling the vibration. The privacy controversy that is stirring is around the question of what Facebook may do with all that data. For example, do they really need to see your address book? Don’t they already know who your friends are on Facebook? The thing is - nothing has changed about Facebook Messenger permissions. The previous version required the same access as the standalone app. You can read Facebook’s explanation about the permissions here. We wrote about the changes in the way Google Play manages permissions earlier this summer, pointing out that most people blindly accept whatever app developers want without question. Each of us needs to decide how much we are willing to give in order to get. But please be aware, dear avast! users, that your smartphone combined with social media is a mecca for hackers. Our lives in data are stored on our mobile devices and without strong security and some common sense, cybercrooks can harvest it and use it as they please. Make sure you protect your devices with the proper security. avast! Mobile Security is for Android phones and tablets, and it’s free. The Application Shield keeps you safe from malicious apps by scanning them on two levels - on installation and on execution. With App manager you can see your running apps, check their permissions, and if they display ads. Download avast! Mobile Security & Anti-theft from the Google Play store.